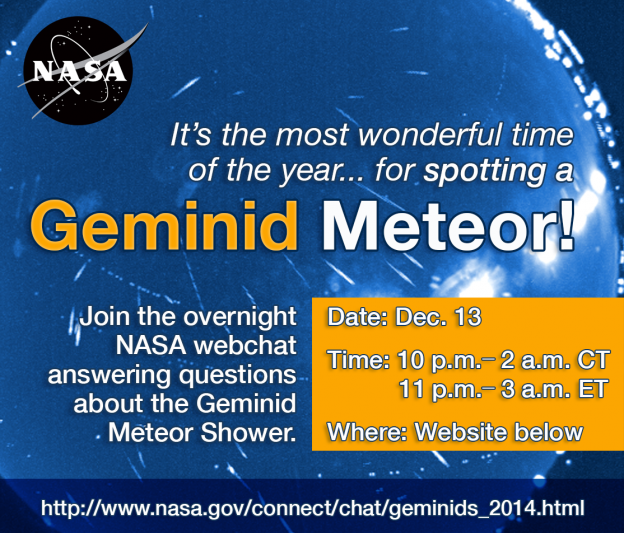 The annual Geminid meteor shower will peak during the overnight hours of Dec. 13-14, with best viewing typically around 2 a.m. To learn why meteors and comets are important to NASA, the public is invited to join a live Reddit Ask-Me-Anything event at 2 p.m. Dec. 12. Answering your questions will be NASA meteor experts Bill Cooke, Danielle Moser and Rhiannon Blaauw, all from NASA’s Meteoroid Environment Office at NASA’s Marshall Space Flight Center. For viewers experiencing clouds, meteor shower footage will be broadcast live from 8 p.m. Dec. 13 until 6 a.m. on Dec. 14 on Marshall’s Ustream account. Social media followers interested in joining the online conversation can tweet questions to Marshall’s Twitter account or share Geminid images by uploading them to the Geminid Meteor photo group on Marshall’s Flickr account. 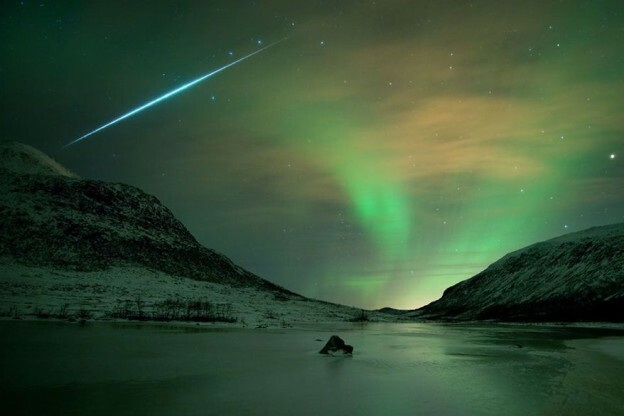 It’s the most wonderful time of the year — for spotting a Geminid meteor! 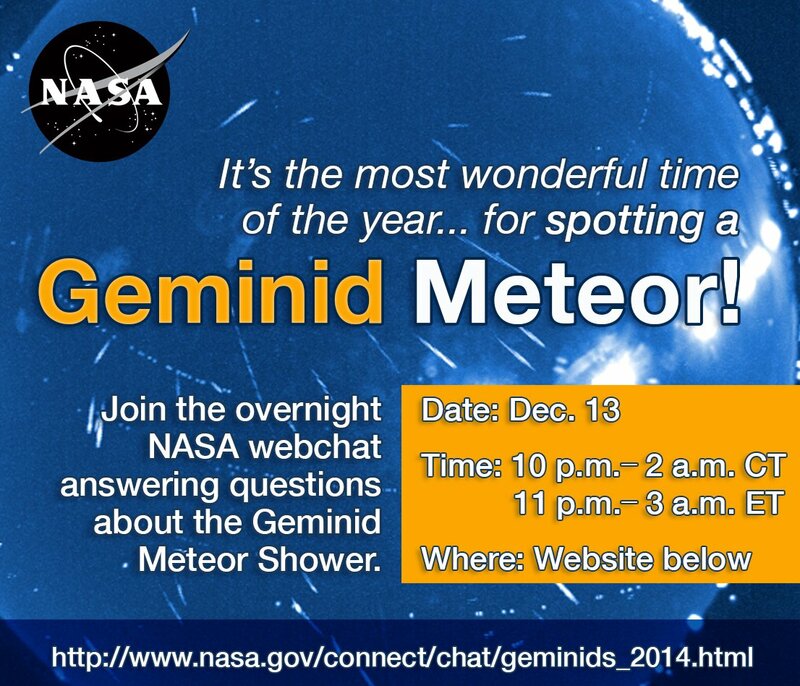 The 2014 Geminid meteor shower is forecast to be a lively meteor shower with great views in the skies over Earth. The week of Dec. 8 is a good window for Geminid-watching, but the night of Dec. 13-14 is the anticipated peak. 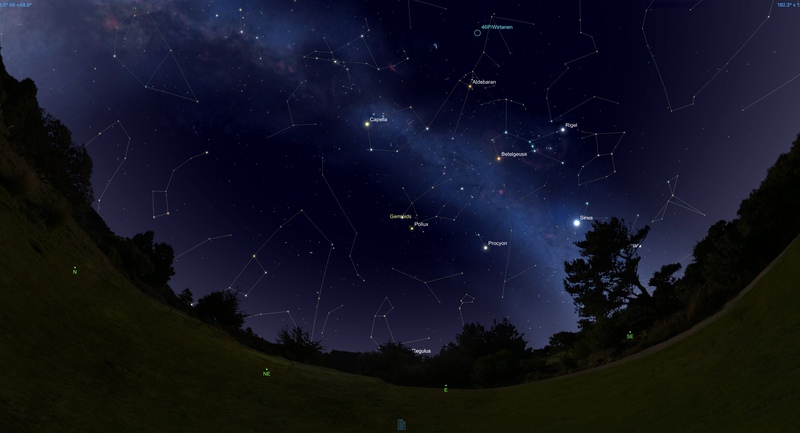 Best viewing will be in dark sky locations, away from city lights. On Dec. 13, Cooke and a team of astronomers from Marshall Space Flight Center will host an overnight NASA web chat from 10 p.m. to 2 a.m. CDT, answering questions about the Geminid meteor shower. 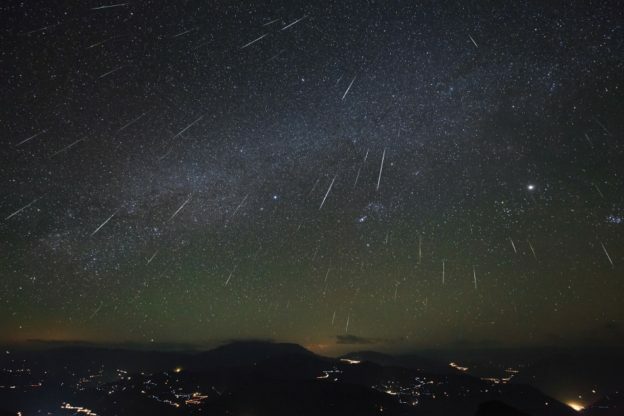 The Geminids are expected to peak just before dawn on Dec. 14, with a predicted peak rate of 100 to 120 meteors per hour. Geminids: How Low Do They Go? 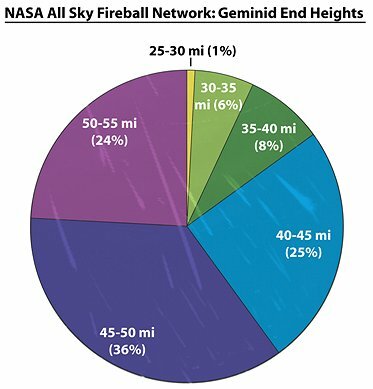 The Marshall Meteoroid Environment office put together the plot below showing the distribution of end heights of Geminids seen with our fireball camera network. 85% of Geminids burn up 40 to 55 miles above Earth’s surface and 15% get below 40 miles altitude. 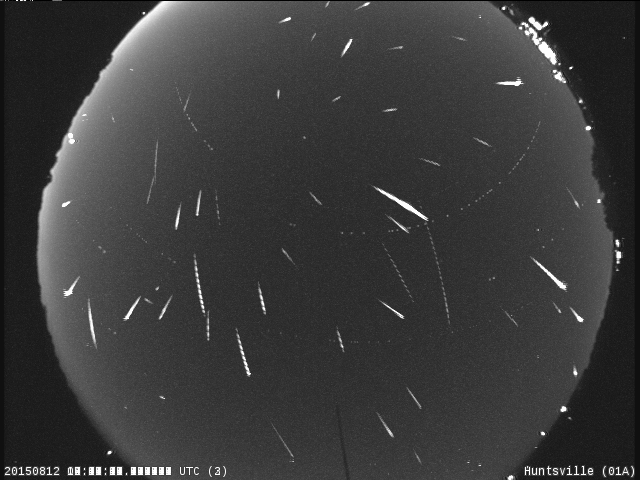 Geminids penetrate deeper into the atmosphere than the Perseids because they are moving slower (78,000 mph for the Geminids compared to 130,000 mph for the Perseids) and are made up of denser material, owing to the fact that the Geminid parent body is rocky asteroid 3200 Phaethon and the Perseid parent is a comet yielding more fragile material. This video shows meteors captured by a wide-field camera at the NASA Marshall Space Flight Center on the night of December 12. There are 141 events; at least 77 of these are Geminids, based on their angular speed and direction of travel. Near the end of the movie, a couple of satellites are visible crossing the field of view. For those of us sky watching for meteors , this means we have a good chance of viewing a Geminid meteor. Tonight, December 13, into the early morning of December 14 is the peak. Happy meteor watching! 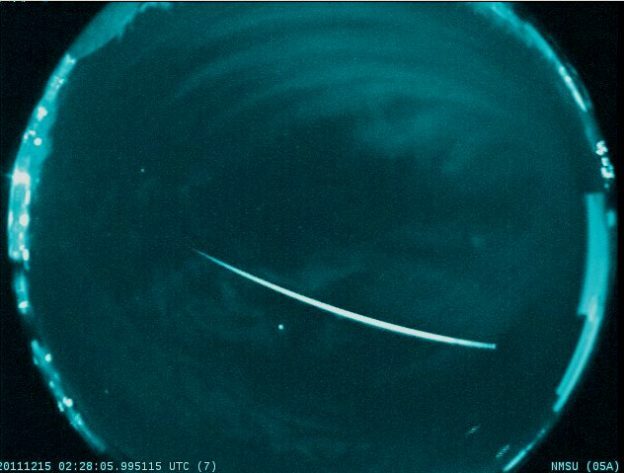 Author Marshall Space Flight CenterPosted on December 13, 2012 May 23, 2013 Categories UncategorizedTags Geminids, Marshall Space Flight Center, meteor shower, Meteoroid Environment Office, NASA, Perseids1 Comment on Geminids: How Low Do They Go? 596 Scheila: An Identity Crisis? Things are getting a little stranger in the asteroid belt these days! Objects in this zone of the solar system are known to be rocky bodies, though in the past few years several of these bodies have had cometary features detected. 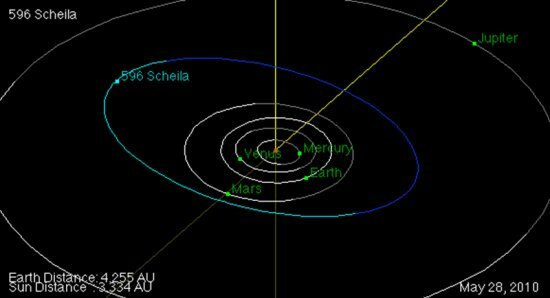 One such body is 596 Scheila, which has always been confidently called a main-belt asteroid, meaning it is a rocky body orbiting nicely between Mars and Jupiter causing no trouble to Earth. Scheila is 113 km in diameter and was discovered in 1906 by August Kopff in Heidelberg and named after an acquaintance of the discoverer. 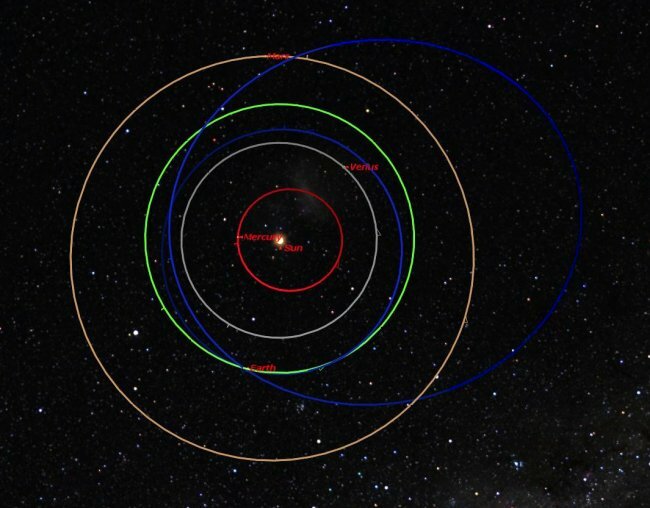 For the past 104 years Scheila has been pleasantly orbiting without much fuss until last week the Catelina Sky Survey found a coma around the object with a 0.68 meter Schmidt telescope; quickly confirmed by many other observers.Scheila, along with several other bodies in the past few years, have created a new class of solar system objects: main-belt comets. 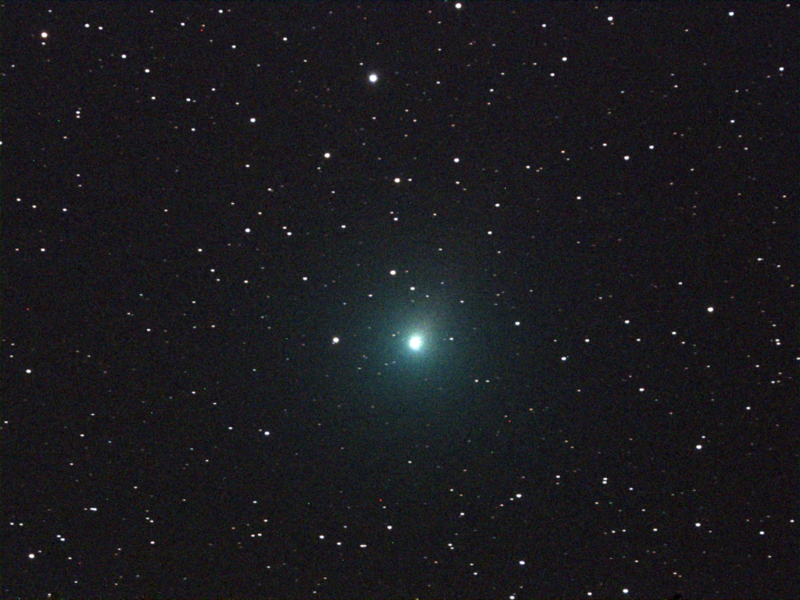 Main-belt comets have the orbital characteristics of main-belt asteroids, but exhibit an outgassing, comae, or a dust-tail that is normally seen on icy comets that came from the outer-reaches of our solar system. These bodies are an anomaly and a mystery since an object this close to the sun should have had its ices vaporized away. This has caused another theory to arise that perhaps they are not icy bodies, but perhaps the trail of debris was caused by an asteroid-asteroid collision. 3200 Phaethon, the parent body of the famous Geminid meteor shower, is another example of this. Phaethon was always thought to be an asteroid, a purely rocky body, and even its meteoroids agreed with this, being denser than an average icy-meteoroid. But in recent times Phaethon has exhibited dust-outgassing, causing observers to wonder whether it once was a comet, or if it has had a recently collision to cause the particles. 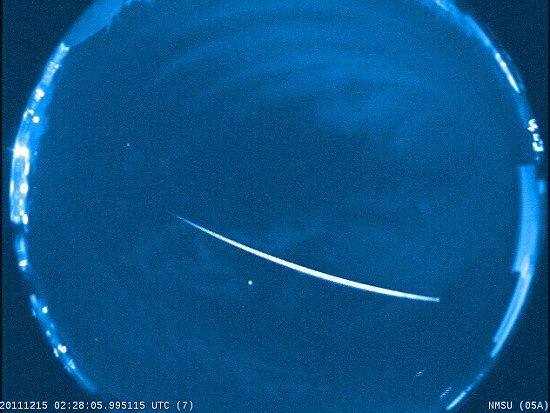 Unlike Phaethon, Scheila will not intersect Earth’s orbit and thus we will not have a Scheilid meteor shower. Whether this outgassing and dust production from asteroids is due to vaporization of earth or asteroid collisions, only time will tell. Oh, the mysteries of our solar system! Orbit of 596 Scheila, as computed by the JPL small-body database browser. 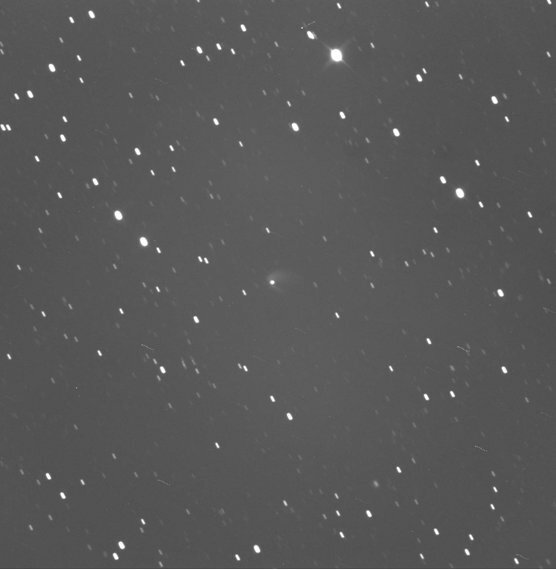 Image of 596 Scheila using a V Filter and 10 stacked images of three-minute exposures each. 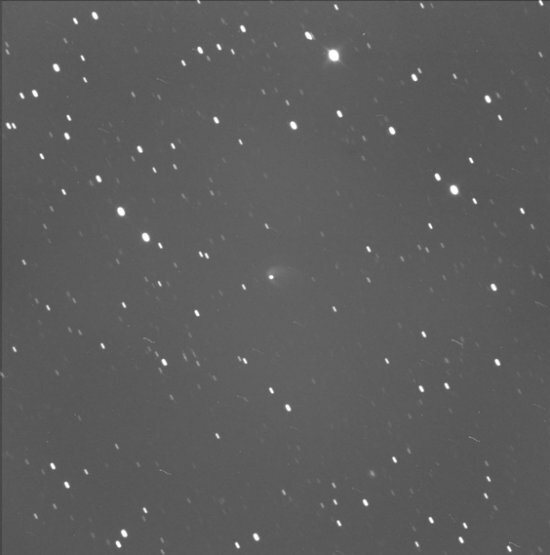 Image of 596 Scheila using an R Filter and 10 stacked images of three- minute exposures each. Images were taken via a remote-operated camera located in New Mexico. Stars are trailed because the asteroid was being tracked. You can clearly see the fuzzy “cloud” or coma about the asteroid in the center. Images courtesy of Bill Cooke and Rhiannon Blaauw, NASA’s Meteoroid Environment Office, Marshall Space Flight Center, Huntsville, Ala. Author Marshall Space Flight CenterPosted on December 18, 2010 May 23, 2013 Categories UncategorizedTags 596 Scheila, asteroid, comet, Geminids, Marshall Space Flight Center, Phaethon5 Comments on 596 Scheila: An Identity Crisis?